Alas, no honest broker could answer this question with deep conviction because a wide range of factors—always shifting and unpredictable—impact the resale value of used catamarans. Nevertheless, my experiences as a catamaran broker have given me a pretty clear picture of the most important issues that are currently impacting used catamaran values. They are currency fluctuations, condition, configuration, brand, new construction costs, and options that add value. 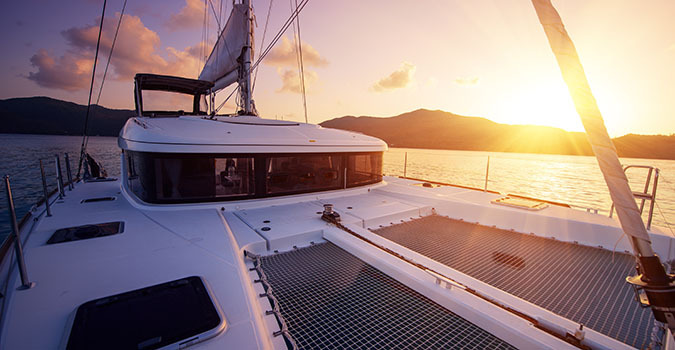 Let’s discuss currency first, as it plays an especially powerful role in the catamaran market. Since the majority of catamarans are built outside the U.S., and nearly 60 percent of them in France, the dollar/euro exchange rate plays a critical role influencing new and used catamaran values. When you buy a French built catamaran, you are to some extent making a euro play. Certainly the cost of a new French cat dramatically impacts the value of used ones. For example, when the euro was very soft against the dollar three years ago, a Catana 431 could be bought new for a little under $500,000. Today that same boat costs at least 30 percent more if purchased new. As such, if you bought a Catana 431 several years ago you would be able to sell her today for close to what you purchased her for. The demand for the 431 remains strong and supply low. The cost of a new 431 is simply out of reach for many buyers so they must shift their attention to the brokerage market. The same is so if you had bought a South African cat when the rand was weak against the dollar, as it also was four years ago. A used Voyage 430 or 440 has hardly depreciated over the past few years as the cost of getting a new one has gone up so much. In short, if you think the dollar will get considerably stronger against the euro or the rand after you buy your new boat, you are taking a risk that depreciation will be higher than normal. You will, after all, be buying a depreciating currency. On the other hand, if you think the dollar will grow weaker after you buy a foreign built cat, getting her now could be a very wise decision if you are able to sell before the dollar bounces back. Right now, the prospects for the dollar over the next few years are not looking good. This month it softened to $1.50 to the euro, a mighty plunge over the past few years. This has created a bit of a feeding frenzy of foreign buyers coming to North America to purchase the larger, internationally branded cats on the brokerage market being sold in dollars. And he is certainly right. The surest and fastest way to see the value of your boat go downhill is to treat her poorly. Survey after survey indicates that a general failure to follow the most simple rules of yacht maintenance end up costing sellers a lot of money. Changing engine oil and filters, generator oil and filters, taking care of the sail drive oil, the seals on the sail drives, changing out the zincs…. Many of these most basic maintenance chores are overlooked by many sailors and it truly does impact resale in a very significant manner. Because condition plays such a powerful role in yacht depreciation, and because most buyers recognize that a well cared for yacht is like a well cared for airplane, there is a powerful antipathy in the boat buying community towards purchasing anything that spent much time in bareboat charter. It is just assumed that an ex-charter boat is going to be pretty beat up. As such, if a boat goes into charter, even if it isn’t poorly cared for or abused, its resale value will instantly be negatively impacted. I happen to believe that this general impression of charter boats is misguided. Boats are managed by a wide range of charter companies, and some of them do a much better job maintaining their fleets than others. Also, some boats get a lot more use in charter than others. There are plenty of very well maintained ex-charter boats on the market and often times an ex-charter boat can represent a pretty good value when buying a used catamaran. In the end, however, the true condition of a boat (chartered or non-chartered) cannot be ascertained until an objective surveyor has performed a rigid survey. 1. Highest Demand: Owner version catamarans that have never seen bareboat charter. True owner version boats, configured for personal rather than charter use, did not become popular until the end of the 90s. Right now an owner version cat will fetch considerably more money on the used market than any other configuration. 2. Second Highest Demand: Owner version catamarans that have seen light charter. The demand for an owner version often trumps the desire to avoid an ex-charter cat. In other words, if the price is right, most buyers these days will do anything to have that owner version—even if it was in charter. 3. Third Highest Demand: Four cabin, two head catamarans that have never seen charter are the next best thing to an owner version for most buyers. Many cats in the late 90s came in this sort of configuration and it is far more desirable on the aftermarket to have two central heads, which are much larger than four small heads. 4. Fourth Highest Demand: Four cabin, two head catamarans that have seen some charter. For the most part, as noted above, when a buyer hears charter he fears abuse. 5. Fifth Highest Demand: Because so many catamarans are sent into charter fleets there are always a lot of heavily used four cabin, four head boats on the market. Sadly, these boats are in low demand, high supply and tend to drag down the value of similar models that were never in charter or configured in either two head or owner version layouts. Fact is, the Internet shopper looking for that “bargain” cannot understand why an owner version of the same year as a charter version should fetch $40,000 to $80,000 more. As such, while he might really want a non-chartered boat, or an owner version, he cannot justify spending the extra money to get one—or simply cannot afford it. That said, when he goes to sell the four cabin, four head boat, his resale value will remain low as he will always compete with the latest “phased out” offerings from the larger charter outfits. Brand is obviously a very important factor to consider when thinking about depreciation. When it comes to selling a used cat the great value of a well-known brand is that buyers do not have to fly to the Caribbean or Europe to decide if they like a Lagoon 410, or a Moorings 4500, or a Catana 471. As most catamaran buyers attend at least a few major shows prior to making a purchase, it is likely they will be familiar with the brands that are shown regularly. For this reason, I tell clients who want us to sell a used catamaran that is not well branded, or custom built, to please bring her to our Florida or Annapolis locations where she can be easily seen and shown. 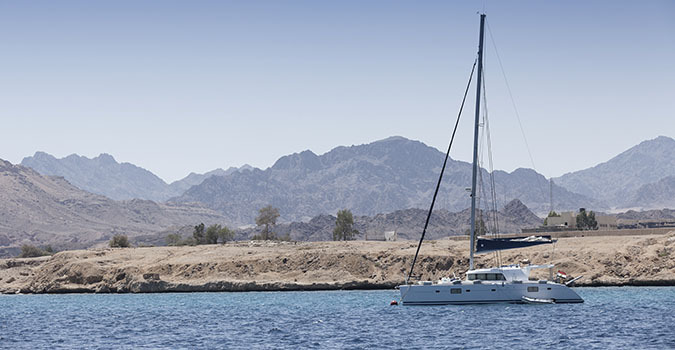 At the present time, the strongest charter/cruising cat brands in North America, in no particular order, are as follows: Lagoon, Moorings (Robertson and Caine), Fountaine Pajot, Voyage, Gemini, and Manta. Each of these brands has a dedicated sales force, advertising and consistent boat show presence. For many years Privilege Catamarans had a strong North American presence, but they have not been showing catamarans here consistently for the past few years. The strongest non-charter, performance cruising cat brands are Catana, Dolphin and Outremer. Maine Cat also has a new open-bridge deck cat that is certainly a real sailing catamaran. Buyers for these sorts of cats are equally concerned with how the boat sails as with how it lives at the dock or mooring. They tend to be more experienced yachtsmen who are converting from a monohull to a catamaran or upgrading from a previous catamaran. Few place their boats in charter and intend to do serious blue water voyaging. While the market is smaller for such catamarans (I estimate about 20 percent of the total catamaran market), the supply of used performance cruising cats is always a lot lower. True performance cats are never getting “phased out” of charter fleets in bulk. As such, resale value for used owner version Catanas, Outremers and Dolphins is generally very strong. There really are only two production built super high-performance catamaran brands sold in North America at this time: The Gunboat from South Africa and the Dolphin 60 from Brazil. This dimension of the market can be likened to the Ferrari in the car market; there is a very small pool of buyers who will not be satisfied with anything but super high performance under sail. Of course there are always a wide range of custom-built cats on the market for the high performance buyer, including designs by Chris White, Ian Farrier and a host of Australian designers. Resale value on such “unbranded” yachts—which are built by a range of different builders—generally varies enormously as the quality of the build varies a great deal. Other than Moorings/Robertson & Caine, Voyage, Dean and Gunboat, the bulk of the South African builders have, to date, not invested heavily in branding. 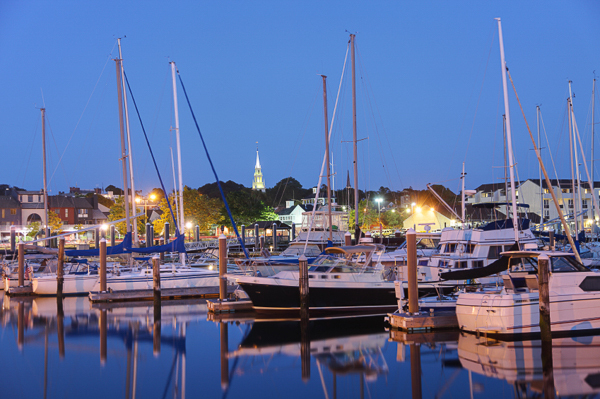 They have, for the most part, sought to sell their boats factory direct to avoid the costs associated with establishing a serious dealer network and costly print advertising. This has led to somewhat inconsistent marketing, after-client care and fluctuating resale values on the used market. This does not mean that there are not any good quality, modestly marketed and branded South African cats. St. Francis Marine has operated on a small scale for years. The same can be said for Admiral Yachts, Maxim Catamarans, Parlay Catamarans and Knynsa Catamarans. 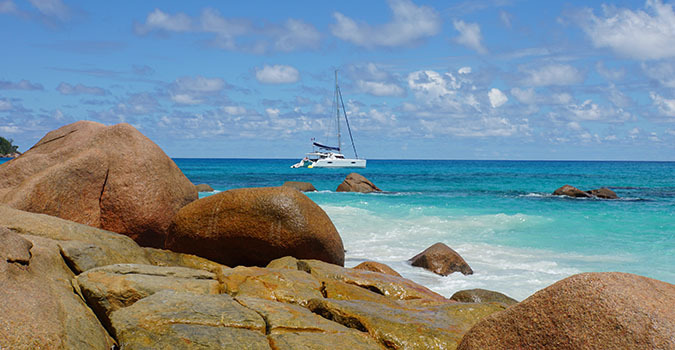 Australian catamarans have never been able to make much of a dent in the North American market. Seawind is by far the most successful brand and they have shown their boats consistently the past few years at North American boat shows. In addition to brand recognition, used boat prices are strongly influenced by new boat prices. Whenever new boat prices rise, used boat values are lifted. One thing that has strongly influenced new boat prices over the past two years, in addition to currency fluctuations, has been the rising cost of fiberglass, resin and foam, which are petroleum based. Raw material costs have gone up all the way around in the marine industry. As long as new construction costs keep soaring, used boats will depreciate less and a lot more slowly. And some will actually appreciate. 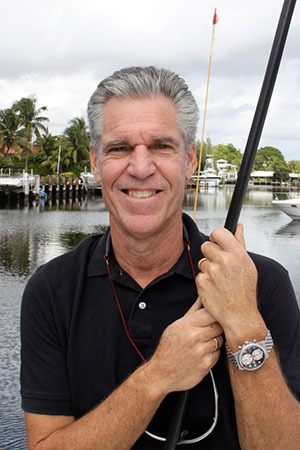 Many sellers assume that the more options you have on a boat, the more you will fetch for her when you sell. This is not always the case. When buying a new boat the less you option her, the less depreciation you will have over the first two years of ownership because the way the boat is configured will be to your taste, not someone else’s. A near new or two-year-old boat placed on the used market will always compete with the new boats. If the new boat price does not rise substantially two years after you buy, many buyers will get a new boat the way they want it unless your catamaran is selling for at least 10 percent less. The problem with the fully optioned boat, I have learned, is that new boat buyers seldom run the numbers as carefully as they should on what a truly well equipped new catamaran actually costs. If they see a year 2006 model for sale that has $80,000 of options and it is selling for just a bit more than a 2008, they still tend to gravitate toward the new model. In a standard cruising cat from Lagoon, Fountaine Pajot, Moorings, etc., the trend has been for the boats to become more and more like homes. Many catamaran buyers today are first time yacht owners looking at their cats as second homes. They are more concerned with comfort at anchor than comfort and speed underway. Upgraded engines—because these cats have keels and relatively full hulls, they do not perform as superbly upwind as a cat with daggerboards. As such, many of the owners simply prefer to motorsail upwind. In an owner version configuration, upgrades of electronics, radar and watermaker also add value to the boat when sold used. Electric engines. The jury is out on this one; it is a lot safer from a resale standpoint to stick with diesels in my view. All things being equal, I have found that a well branded cat typically will not sink in value much more than seven percent a year after the first two years of ownership. And maintenance costs will remain low for the first four to five years. Over the past three years most good catamarans have not depreciated at all in dollar terms due to the strength of the euro and rand, which have raised new boat prices and lifted brokerage prices. I have also come to see that most well built cats never sink much below half their replacement value if they are maintained in good working order. In other words, a 1992 45-foot cat is seldom going to sell for much less than $200,000 unless she is really in need of a total refit. The problem, of course, is that while depreciation flatlines, maintenance spikes! I see far too many buyers make penny wise and pound foolish choices in this regard. They focus far too much on the entry price and never enough on the maintenance price and exit price. At present the demand for catamarans is very high because people are now fully aware of the enormous advantages of a catamaran over a monohull for living aboard. Also, as gas prices climb, a number of buyers drawn to trawlers are looking to catamarans that motor and sail nicely at the typical speed of a trawler yet cost considerably less to buy and operate. While I cannot predict the future I believe the demand for well built and properly designed catamarans will continue to grow in the years ahead. There is no sure-fire way for any broker to tell a buyer how much he will get for his cat when the time comes to sell. Sales were almost dead after September 11th here in the U.S. and another serious upset could do the same again.